Sir Alex Ferguson has denied a Football Association charge over comments he made about an official after Manchester United's Premier League game at Spurs. 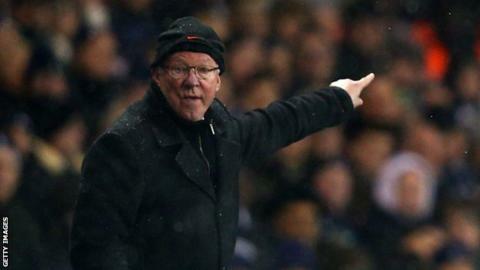 The FA asked Ferguson to explain his comments and charged him on Tuesday. He has requested a paper hearing, which means he will send a written submission rather than appearing in person. The FA is yet to decide the hearing's date. When it charged Ferguson with misconduct the FA stated: "It is alleged the Manchester United manager breached FA Rule E3 in that he implied that the match official was motivated by bias." Ferguson had until Friday afternoon to reply to the charge, which came as a result of comments made during a post-match interview on 20 January at White Hart Lane.